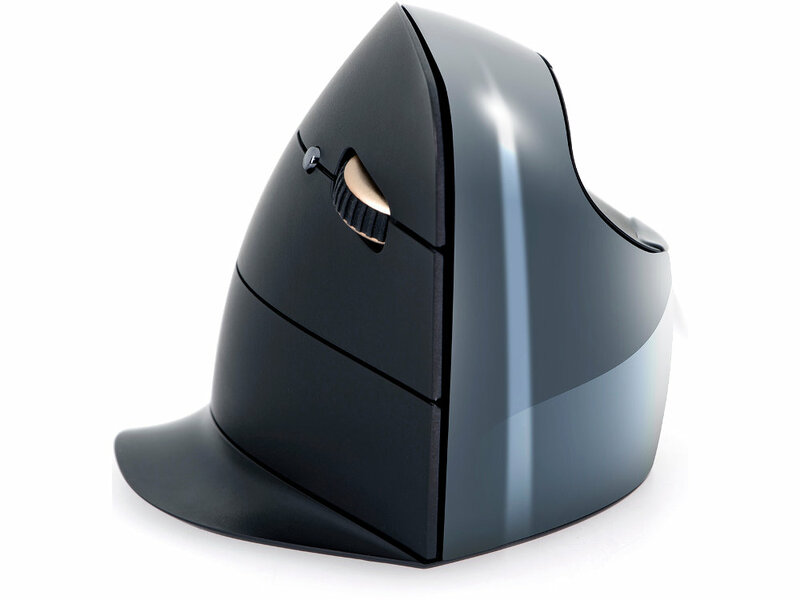 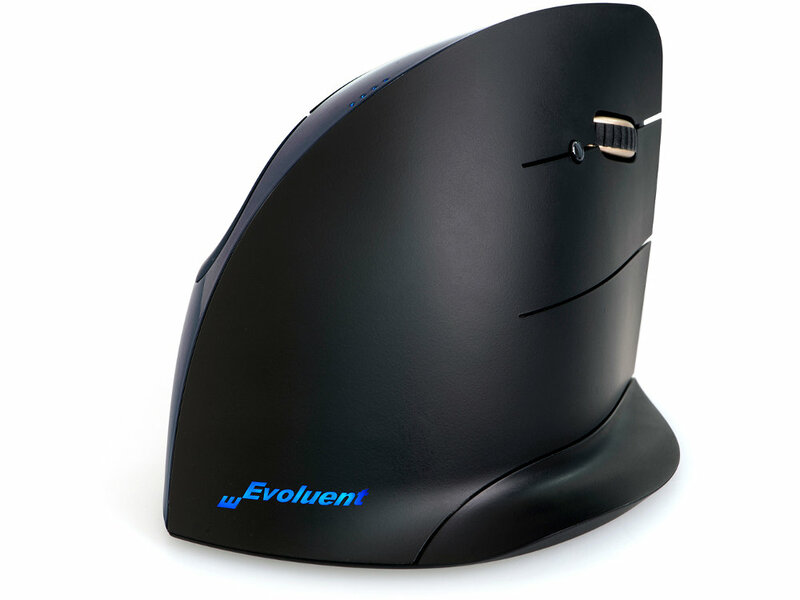 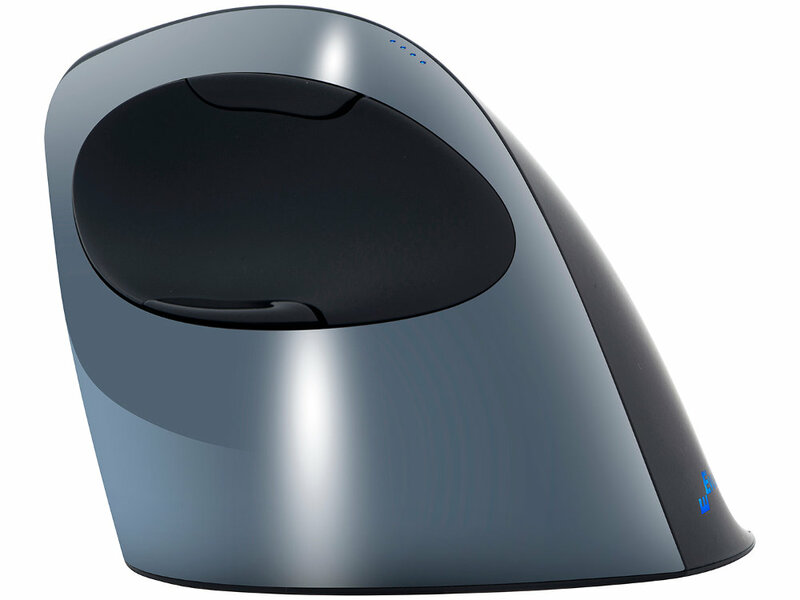 The Evoluent C Wireless vertical mouse: an ergonomically responsible mouse with a luxurious, modern design. 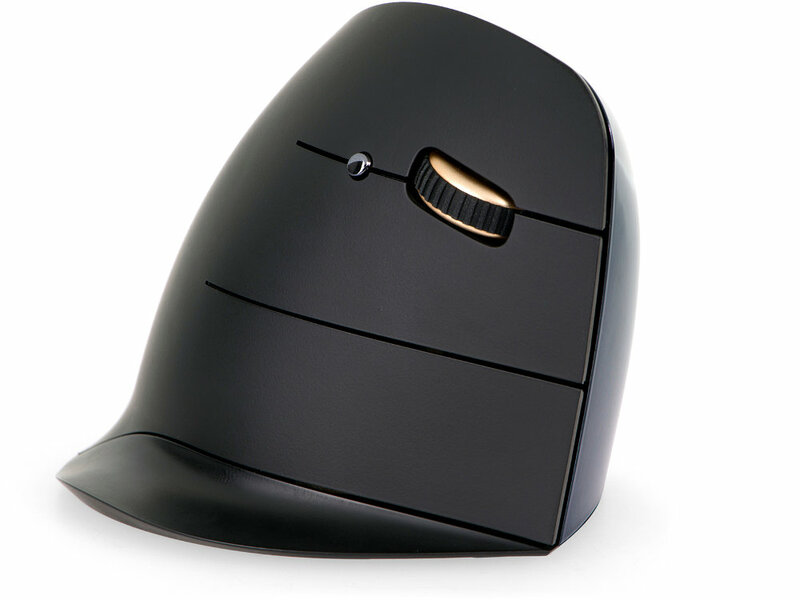 Shiny silver and matt black with a gold and black scroll wheel. 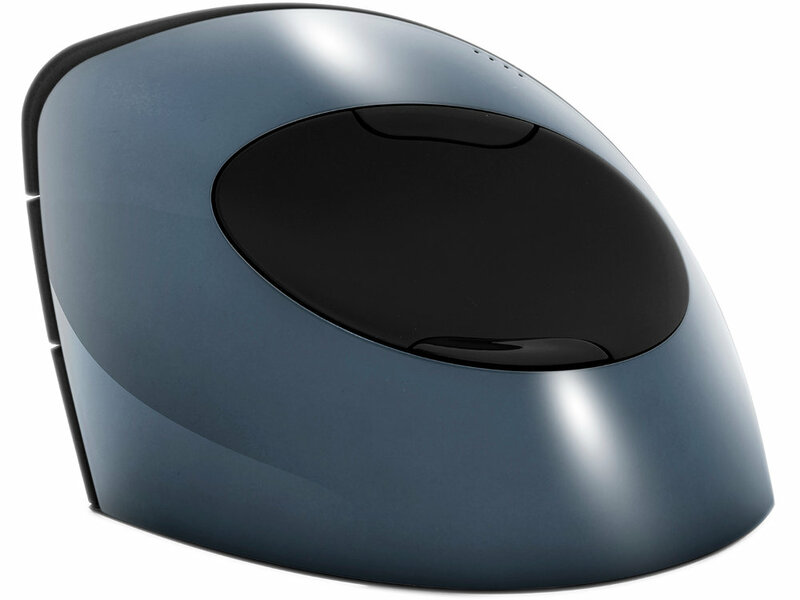 The mouse takes a single AA battery (included) and comes with a silver USB receiver.